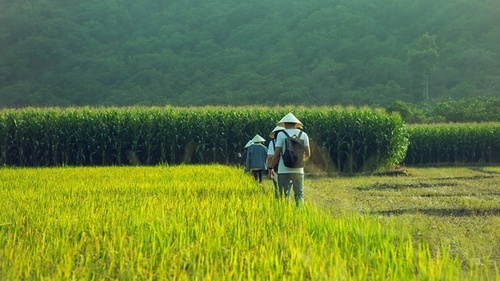 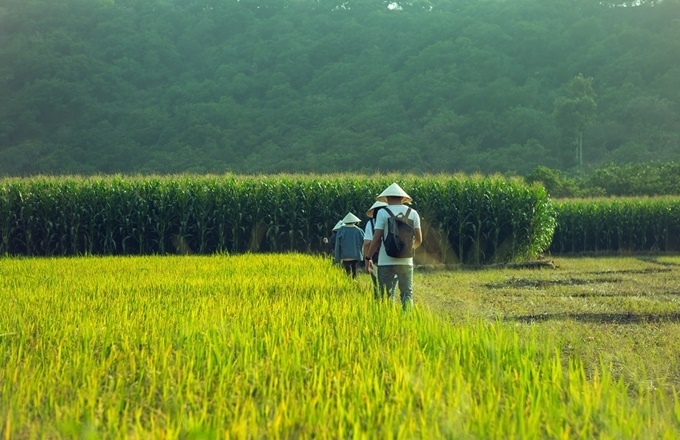 Vietnam’s increasing popularity as a tourist destination has begun to highlight its trekking potential and attractions. 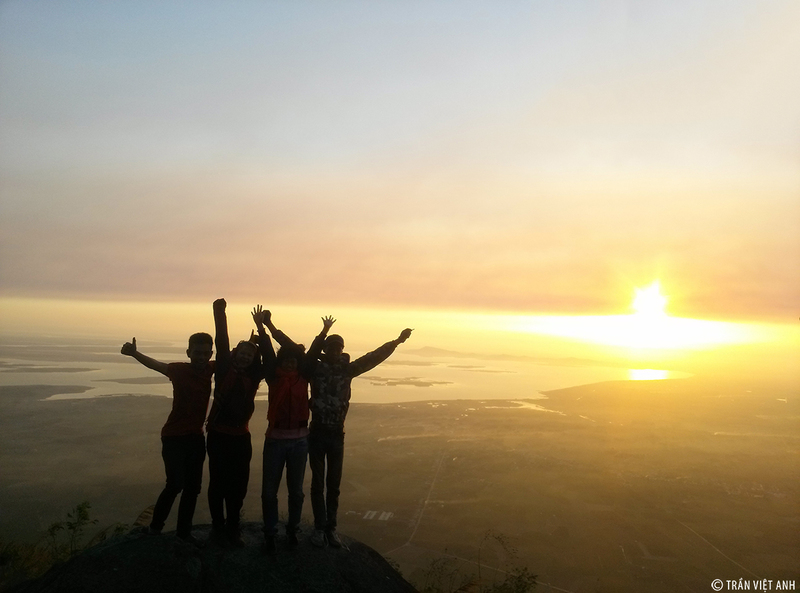 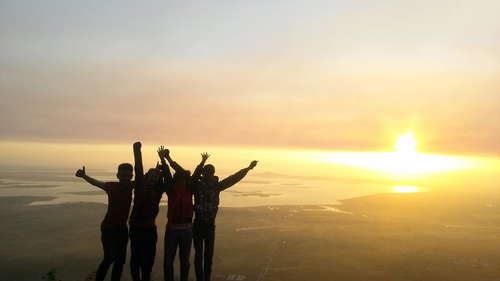 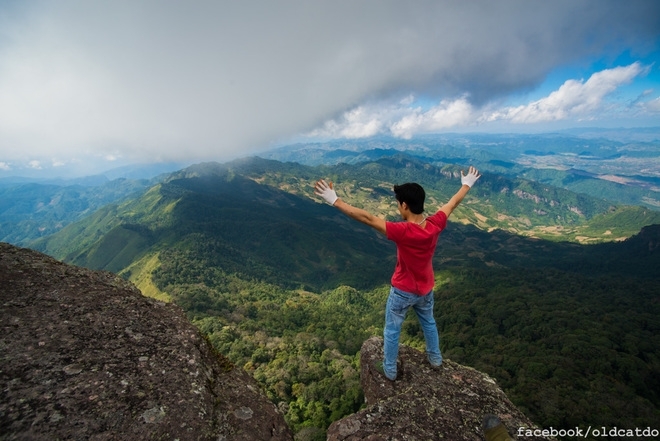 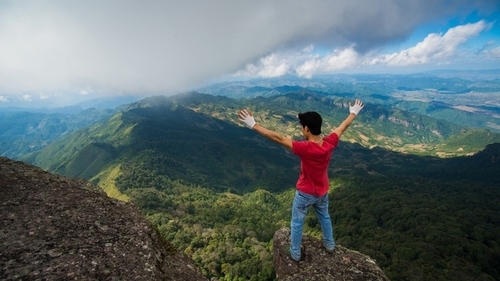 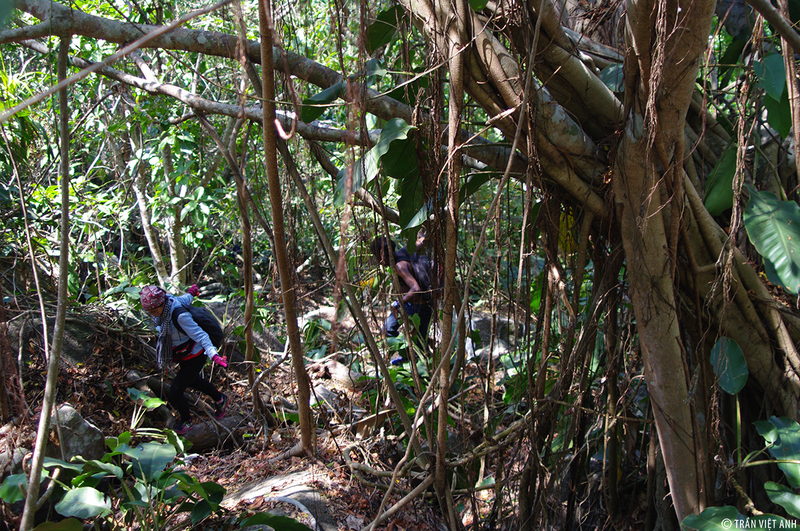 More and more people, especially the youth, prefer to discover the country through its jungles and mountains. 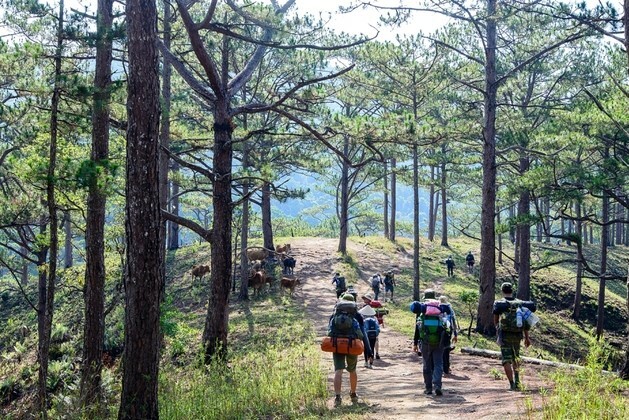 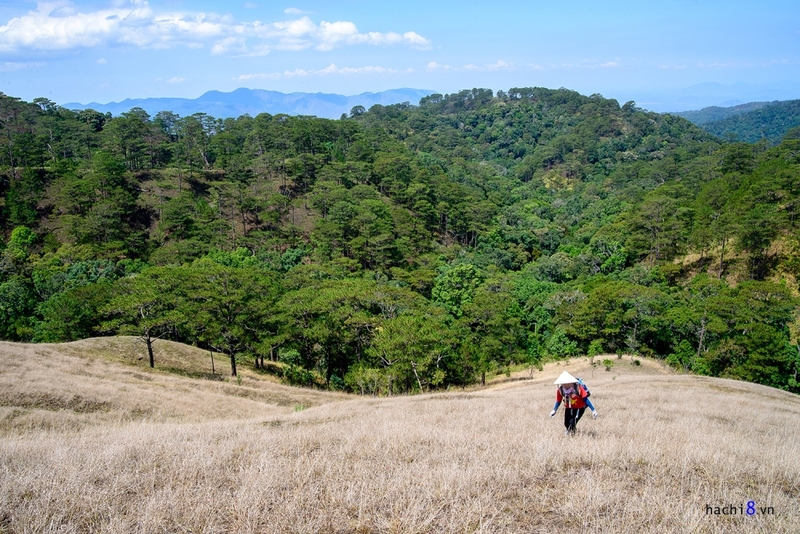 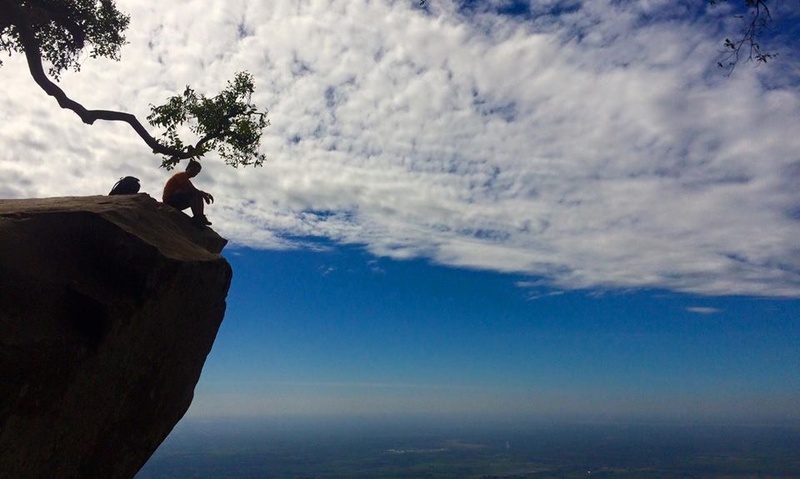 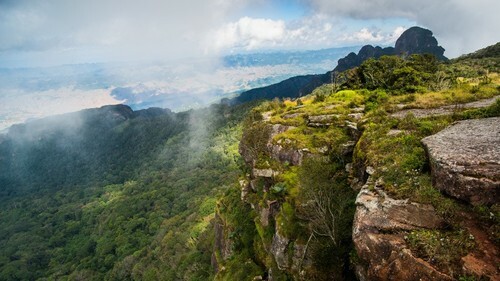 While there are an abundance of trails across the country to satisfy trekking enthusiasts, there are some that require a more adventuresome and daring spirit. 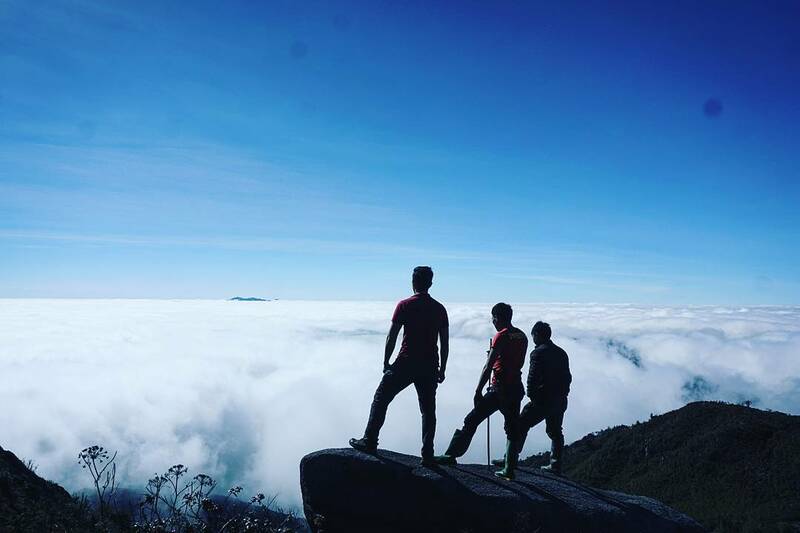 Here are five great trekking destinations that you can try while you are in Vietnam, depending on how adventurous you feel and how willing you are to brave the elements. 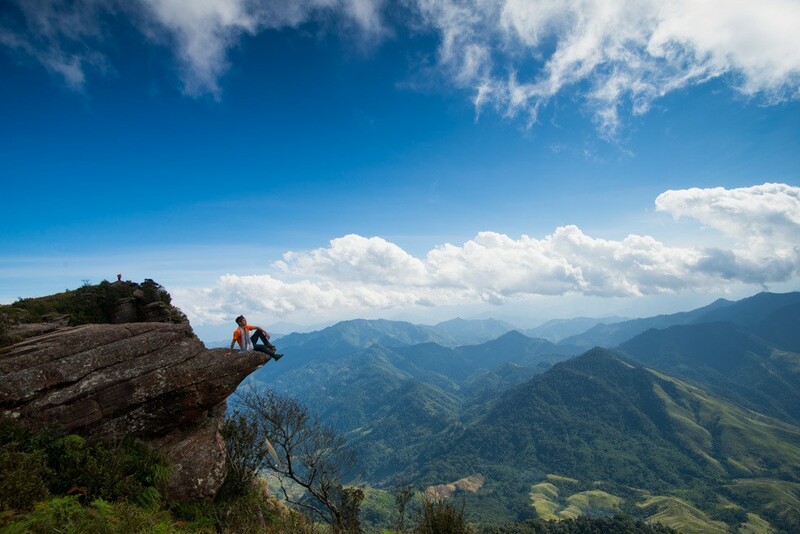 Ba Den Mountain, dubbed the roof of southern Vietnam, is both an ideal weekend trekking destination and one that those on a holiday can explore during weekdays. 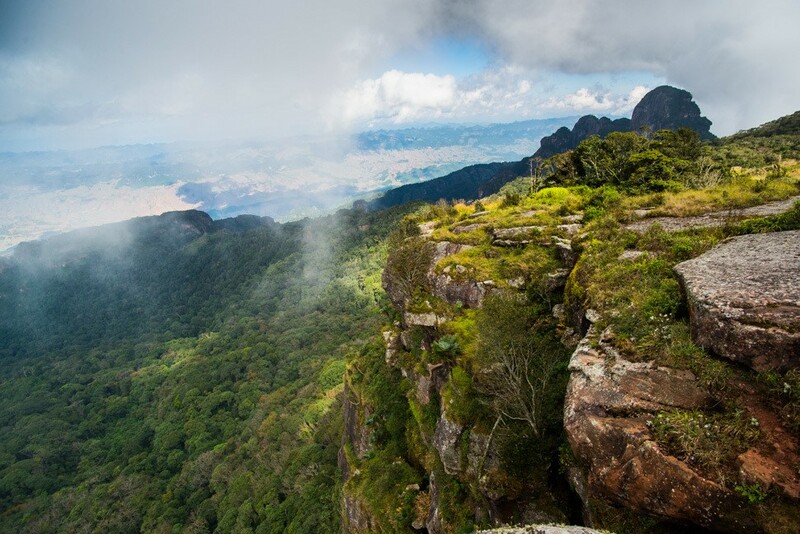 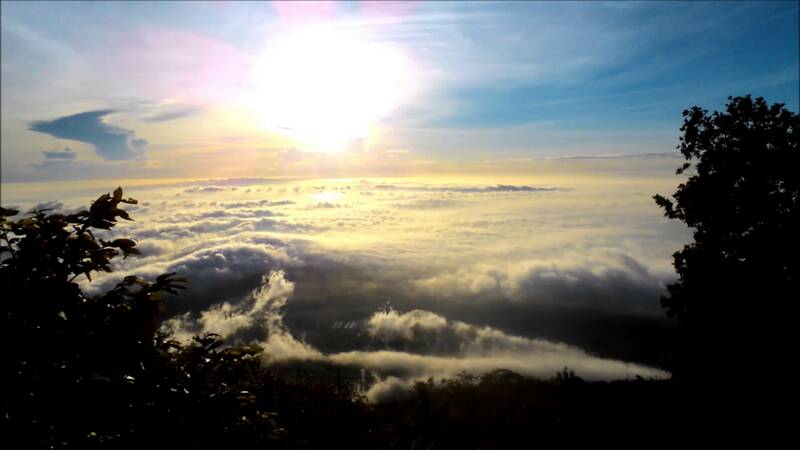 It is not the easiest of treks, but it rewards visitors with heavenly views of floating clouds and unspoiled nature. 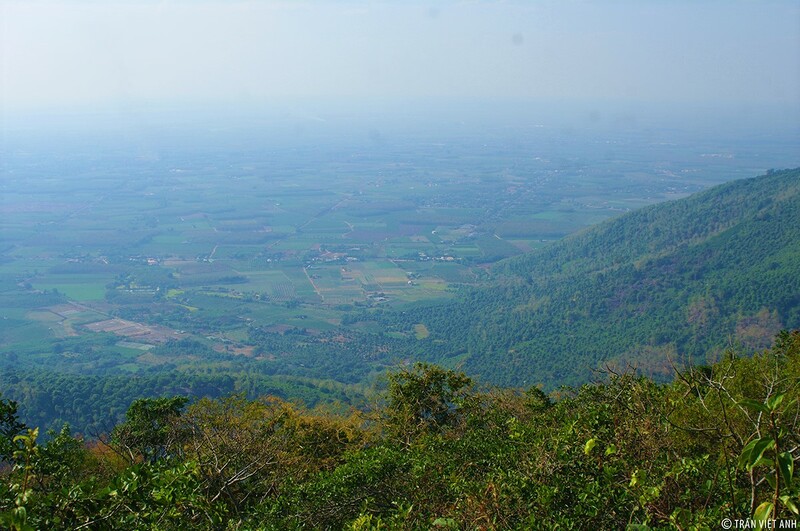 A bus or motorcycle will get you from Ho Chi Minh City to downtown Tay Ninh in a couple of hours, and from there to the foot of the Ba Den (Black Virgin) Mountain should take another 20 minutes. 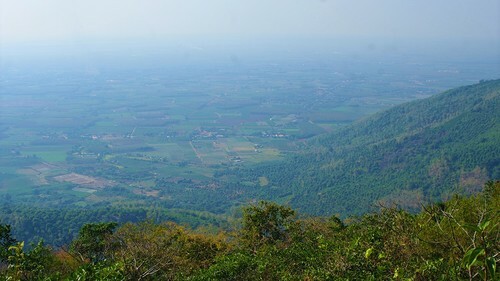 From the foot of the mountain to Ba Pagoda, you can either take a cable car, which costs $7.50 for a return ticket, or climb up around 1,000 steps. 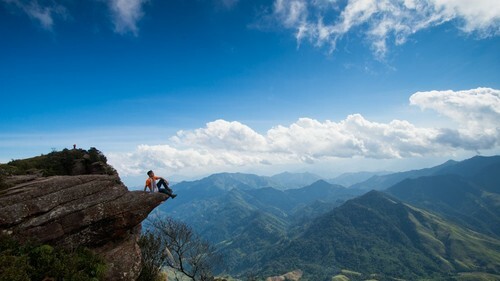 The view is stupendous and unforgettable. 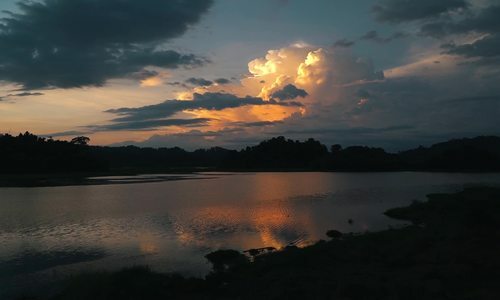 Make sure you have a camera to capture some of the magic. 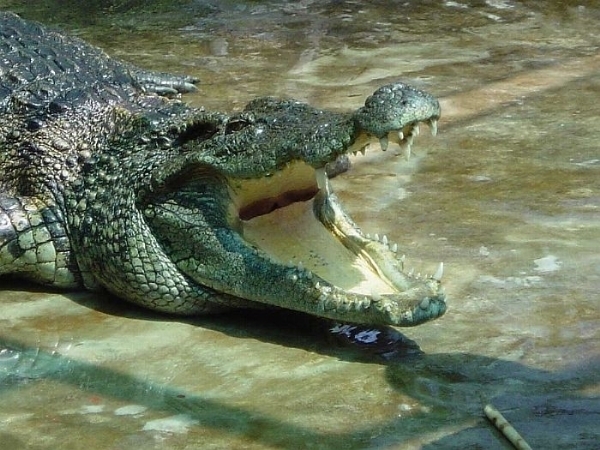 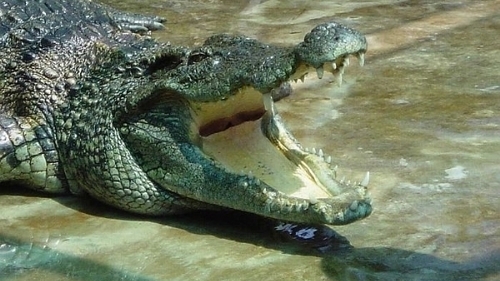 Deep inside the Cat Tien National Park in the southern province of Dong Nai, the UNESCO-recognized biosphere reserve Bau Sau, or Crocodile Lake, is home to around 200 of the reptiles that give the lake its name. 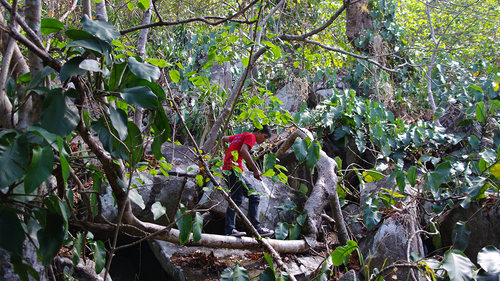 This is an easier trek. 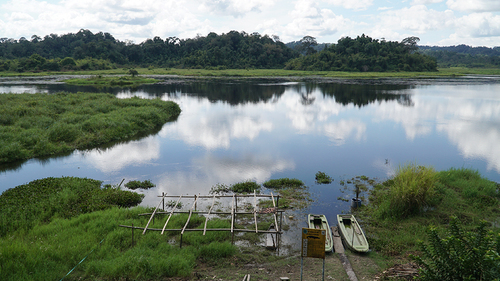 It involves a 10-km bike ride to reach the park and a 5-km trek through dense jungle to get to the lake. 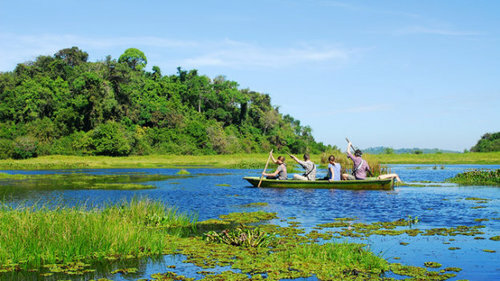 Many tracks in the forests are ideal for leisure bicycle rides or you can try the full experience by going on a boat tour on the lake to see crocodiles gliding through the water. 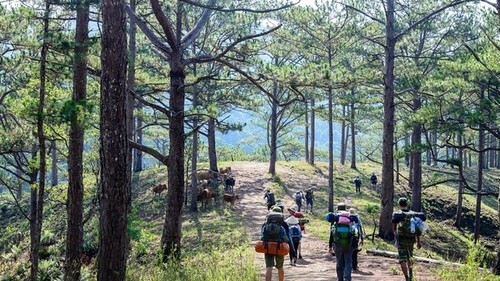 There are no hotels or resorts here, just there homestay rooms, so it is wise to make a reservation in advance or bring tents for overnight stays. 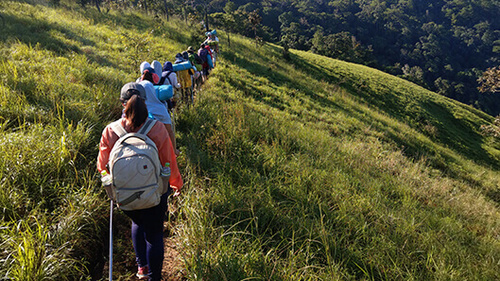 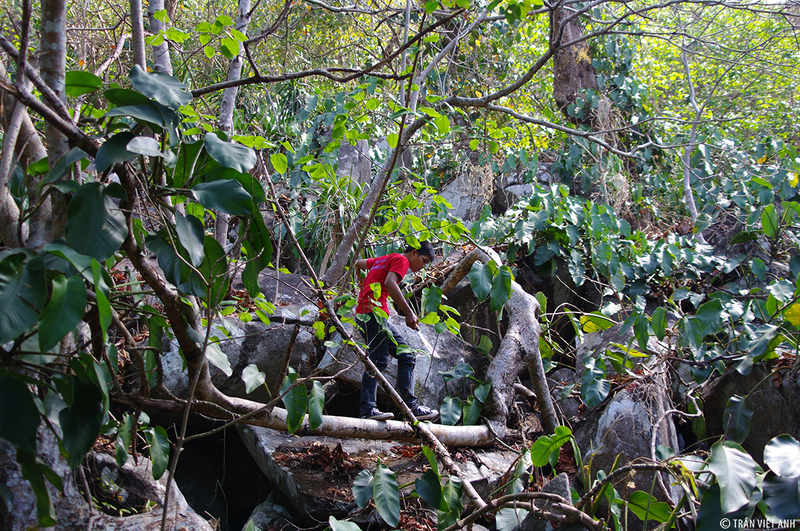 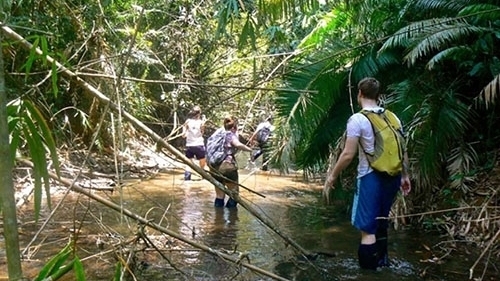 The best time to take a trekking tour to Bau Sau is between December and May, when the climate is cool and dry. 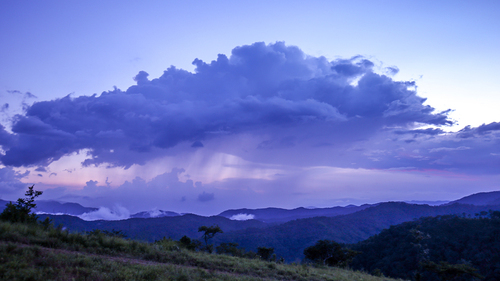 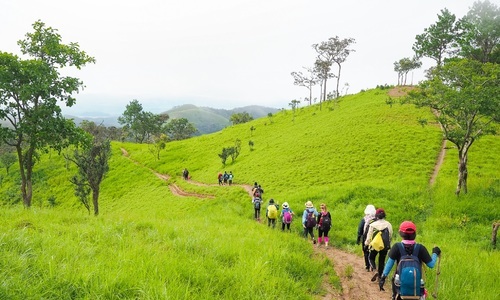 Trekking during the monsoon season is best avoided. 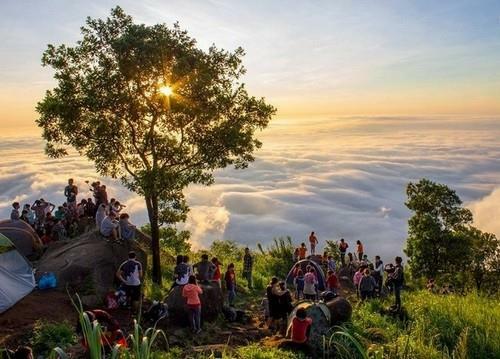 The 55-kilometer-long Ta Nang-Phan Dung route has a reputation for being the most stunning but dangerous trans-jungle road in Vietnam. 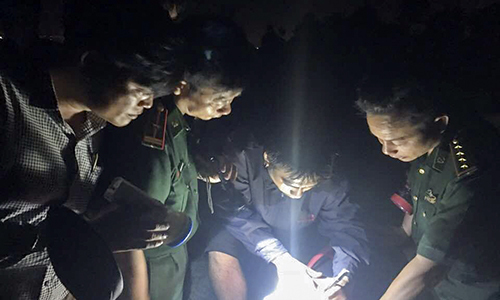 Several inexperienced trekkers have lost their lives, hence the ‘Evil genius’ nickname. 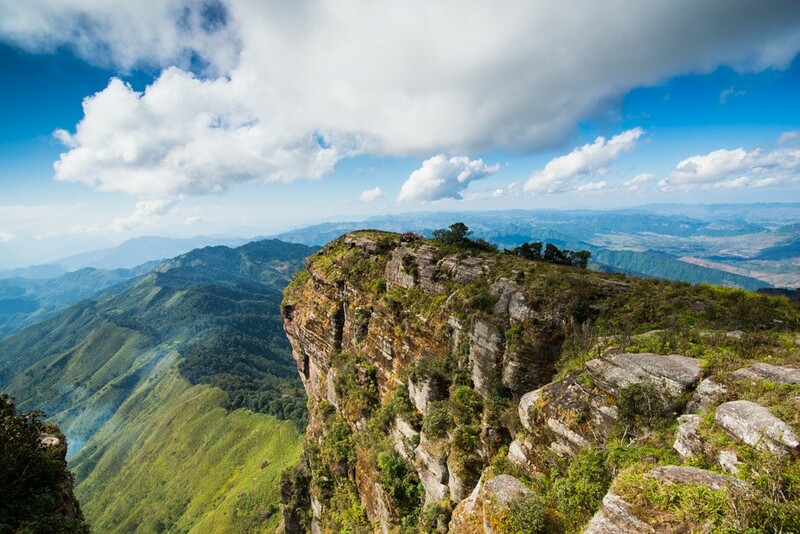 Despite the danger, the stunning pictures of the diverse terrain, including grasslands and sand dunes, still attract hundreds of adventurous travelers. 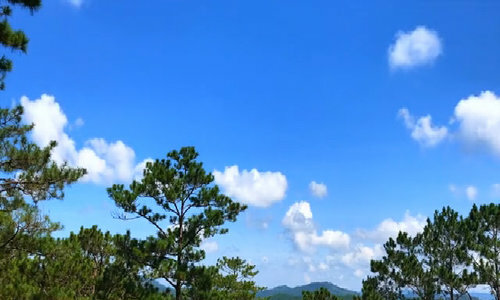 At the height of over 500 meters above sea level, the route starts from the Central Highlands province of Lam Dong, passes through the mountainous Ninh Thuan Province and ends in the central coastal province of Binh Thuan. 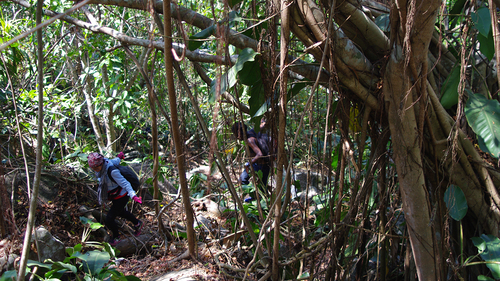 The arduous trek takes three days and two nights. 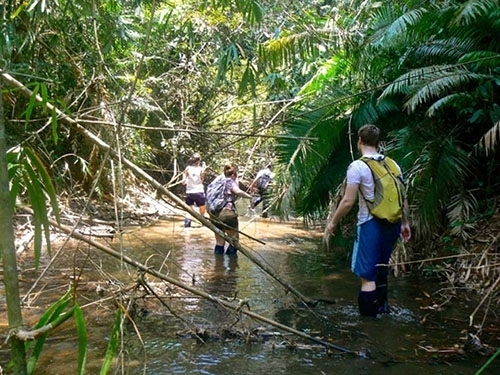 You pass through dense jungle and small rivers that can flood during the wet season. 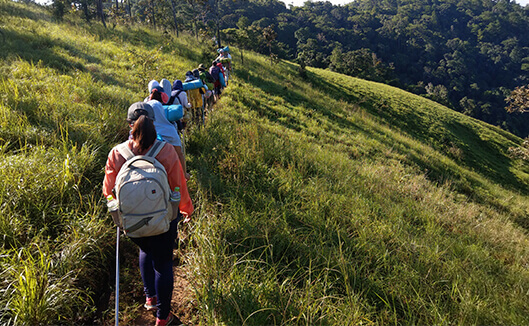 Trekkers on this route need more than just good physical health. 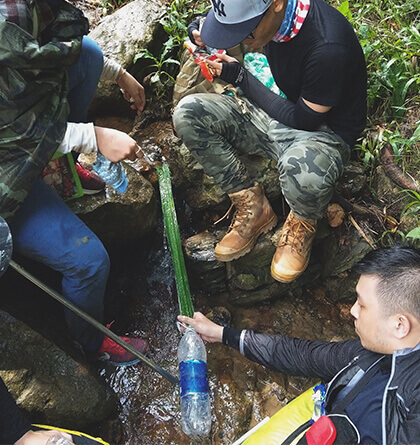 They need knowledge of essential survival skills to navigate the rugged terrain and overcome other challenges. 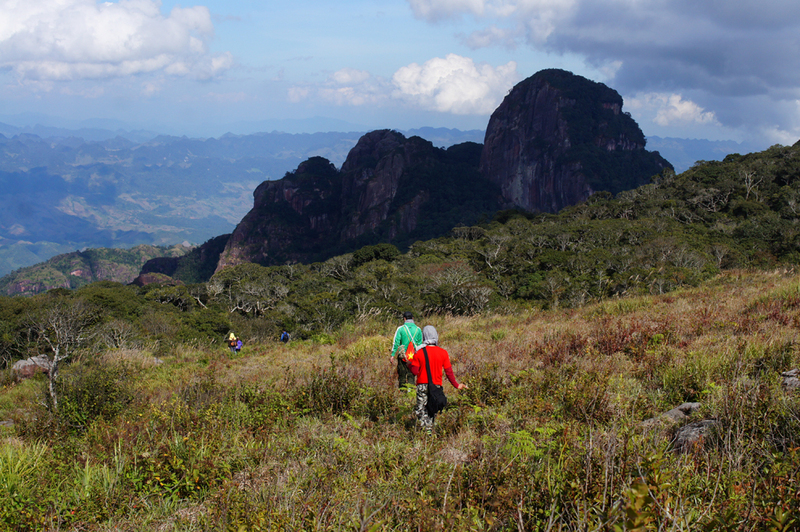 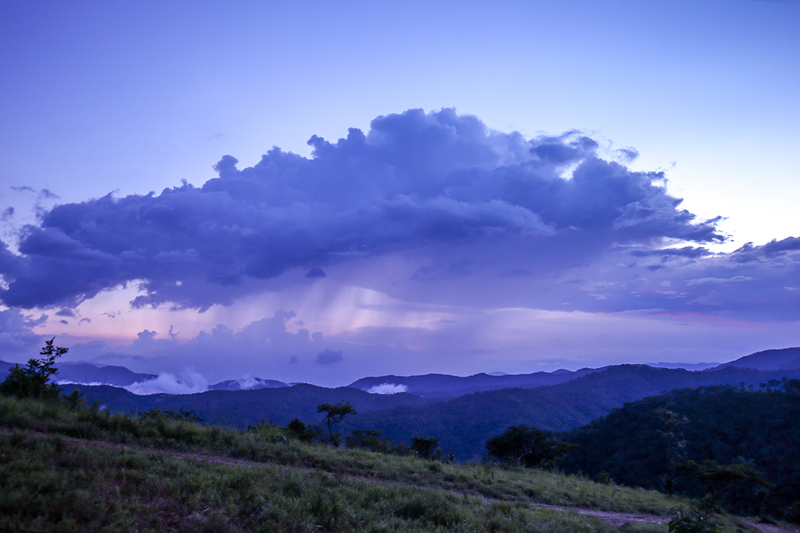 The 2,000-meter high Pha Luong stands on the Vietnam-Laos border. 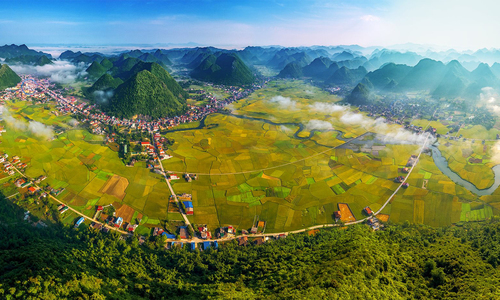 It is the roof of the Moc Chau Plateau in the northern mountainous province of Son La. 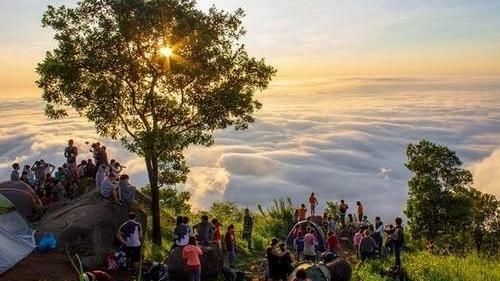 This trek lasts just three to four hours, but it is the icing on the cake at the end of a scenic 200-kilometer ride from Hanoi to Moc Chau, followed by an 80-km ride from Moc Chau to the Pha Luong border station, and a 6-kilometer off-road challenge. 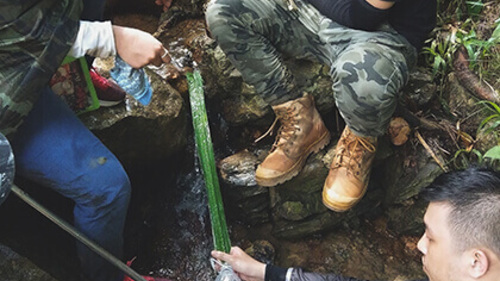 The border has been a notorious hotspot for smuggling and drug dealing, so you're not allowed to camp overnight and have to register with Pha Luong border patrol. 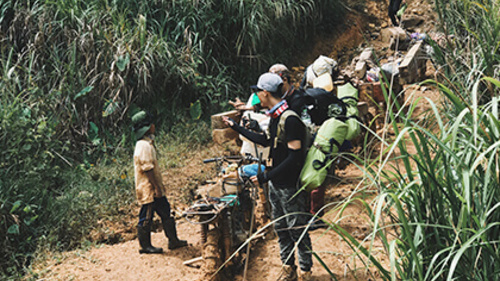 Keep in touch with a local porter/guide before you set off, bring your passport or personal ID and pick a dry day. 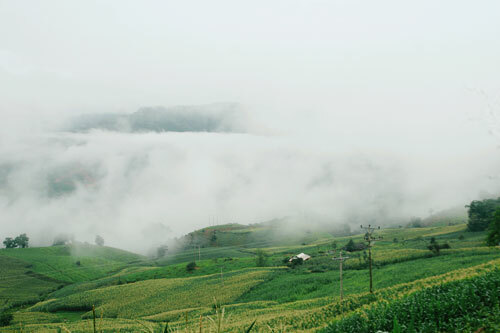 The journey offers breathtaking views of northwestern mountains, challenging slopes, green forests and hair-raising cliffs, and a closer look at the H’Mong ethnic minority and their unique culture. 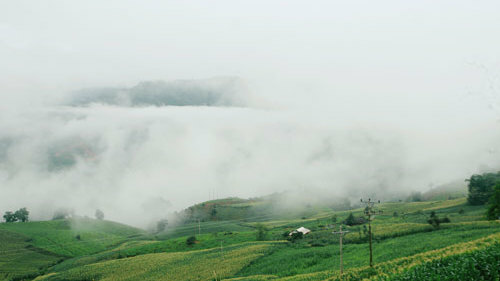 Lung Cung Mountain is named after a remote village in the mountainous district of Mu Cang Chai in the northern province of Yen Bai. 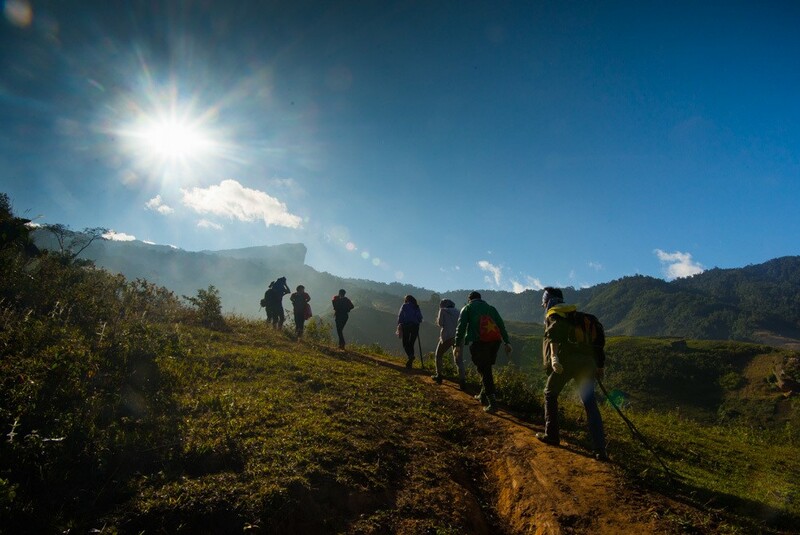 It is another scenic trekking route in northwestern Vietnam, which offers foggy, cloudy and chilly weather all year round. 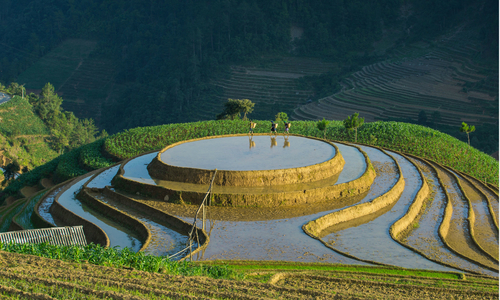 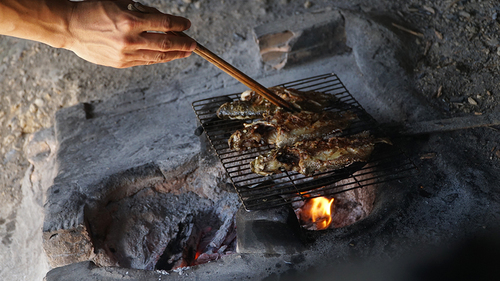 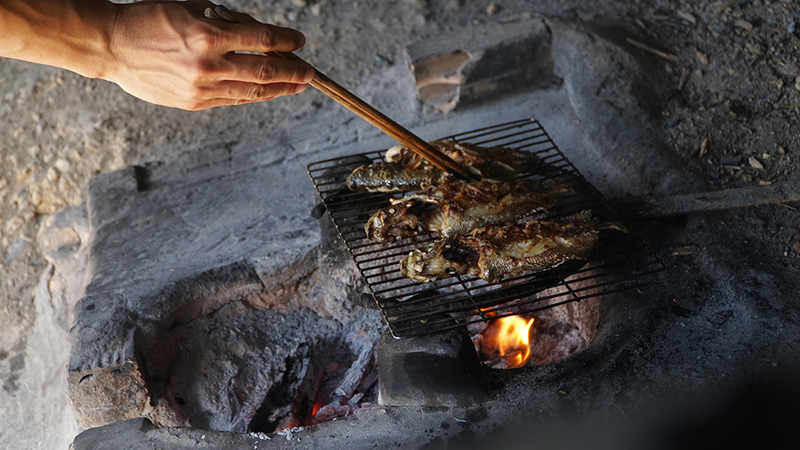 It takes seven hours by car from Hanoi to the nearest base, Tu San Village. 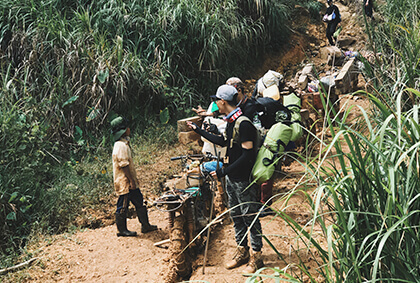 From there, the off-road challenge passes through vast fields of reed, dense primeval forests and rocky terrain before reaching the Lung Cung peak at 2,904 meters above sea level. 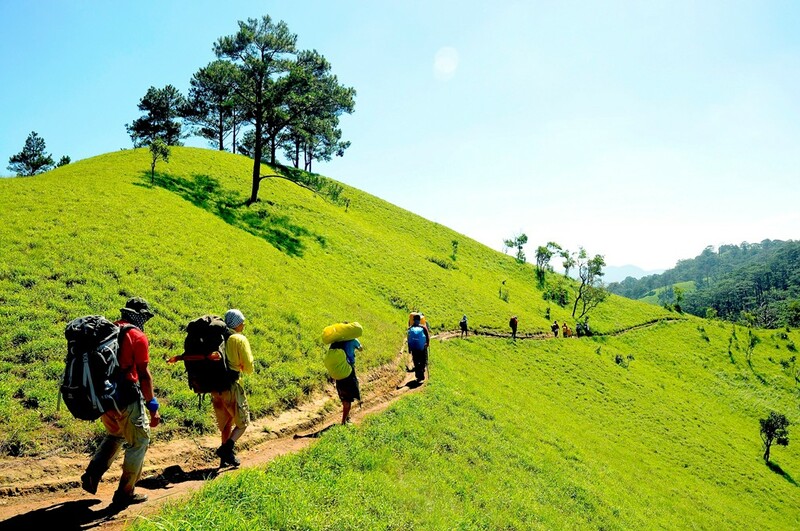 The trek takes approximately two days and a night, so it is good to be well prepared with food, tents, and other camping accessories. 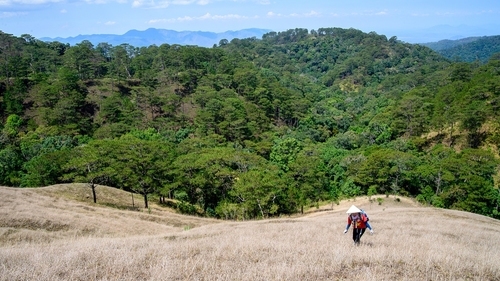 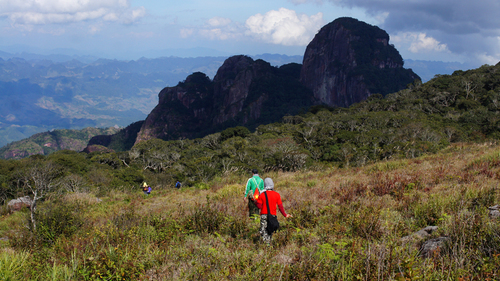 Trekkers conquer the Lung Cung Mount in the northern province of Yen Bai.